Pharmetics Inc., a manufacturer of over-the-counter drugs, has voluntarily recalled six products, including acetaminophen, sinus-relief medication and back-pain tablets sold in drug stores and supermarkets across Canada. Health Canada issued an advisory Tuesday after an inspection of Pharmetics Inc.’s Laval manufacturing plant revealed deficiencies in the production line, including possible contamination between the product lines and some products labelled with the wrong expiry dates. The six products being recalled are acetaminophen 500 mg extra-strength tablets, acetaminophen, caffeine and 8 mg codeine phosphate tablets, allergy and sinus relief extra-strength tablets, daytime sinus-relief extra-strength tablets, muscle and back-pain-relief extra-strength tablets, and sinus medication extra-strength night tablets. The drugs are sold under various brands, including Exact and Life, at Shoppers Drug Mart, Loblaws, Rexall, Jean Coutu, Safeway, Procurity, Federated Coop, Proxim, and Value Drug Mart. Health Canada is monitoring Pharmetics Inc.'s recall of these products and will inform Canadians and take appropriate action if new safety information arises. Consumers who have used the affected products and are concerned about their health should speak with their doctor, Health Canada advises. 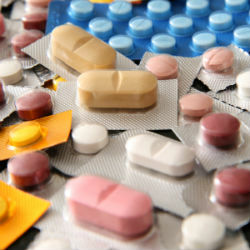 Pharmetics is advising pharmacies that consumers should return products to their place of purchase, Health Canada said. To view a complete photo list of the products affected by this recall, click here to consult Health Canada’s website.